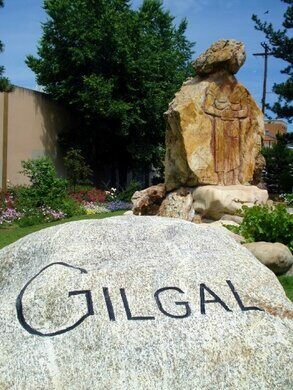 Gilgal Garden is a wondrous little patch of land created by Thomas Battersby Child, Jr. in the mid-twentieth century. 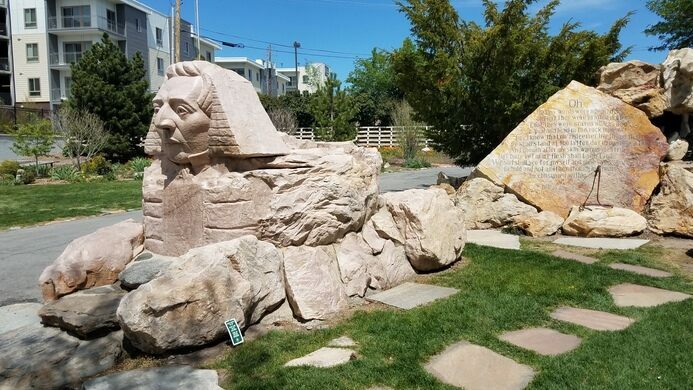 Hidden away at the center of a block behind houses and businesses, it contains 12 original sculptures, and over 70 stones engraved with Mormon scriptures, poems, and literary texts. 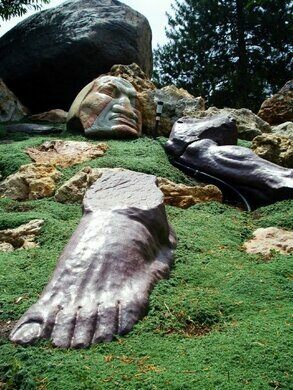 Child, a Mormon, spent nearly twenty years working on the garden, located on about a half-acre behind his home. 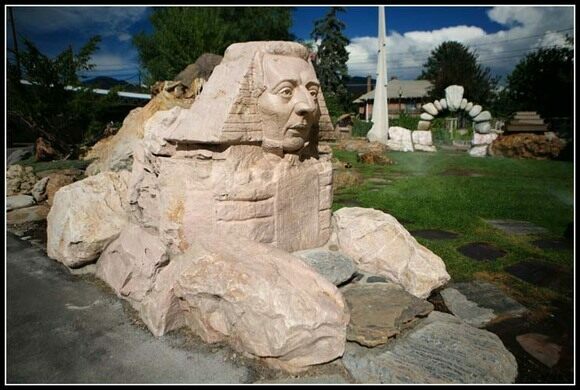 The most arresting of his creations is a sphinx with the head of Joseph Smith, founder of the Mormon Faith. 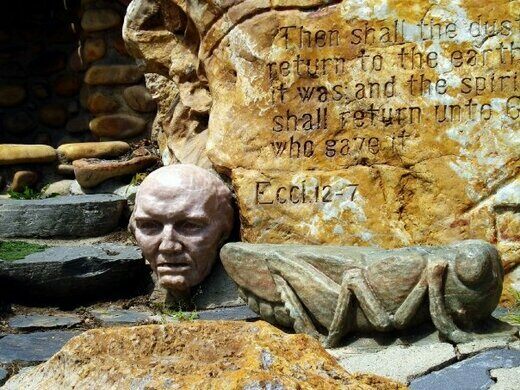 However, the garden is filled with all kinds of strange carved images, such as grasshoppers and disembodied heads. 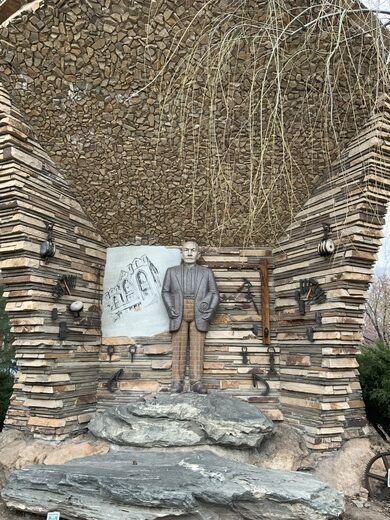 There is even a life-sized statue of Child himself. 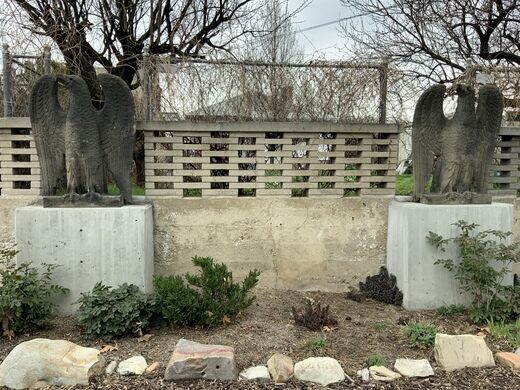 A visitor must walk a stone path to view these works of art. 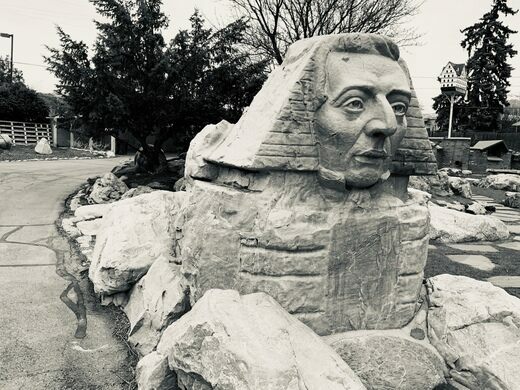 Each stone is engraved with biblical and literary quotes. Hours are April to September: 8:00 a.m. to 8:00 p.m.; October to March: 9:00 a.m. to 5:00 p.m. It is closed on Thanksgiving, Christmas, and New Year's Day. Entry is free. 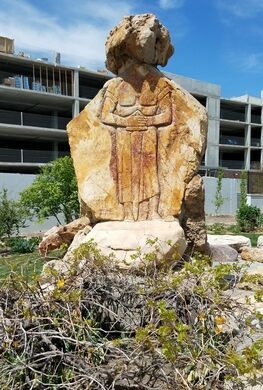 This granite monument at the site of an ill-conceived tourist attraction is built from the same stone as the Mormon Temple.